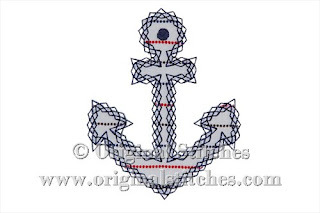 Original Stitches: How do I access my embroidery files when they are zipped? How do I access my embroidery files when they are zipped? HELP! I just downloaded your files but they won't transfer to my machine! I've used a few jpegs to try to help you unlock those files and get you stitching! 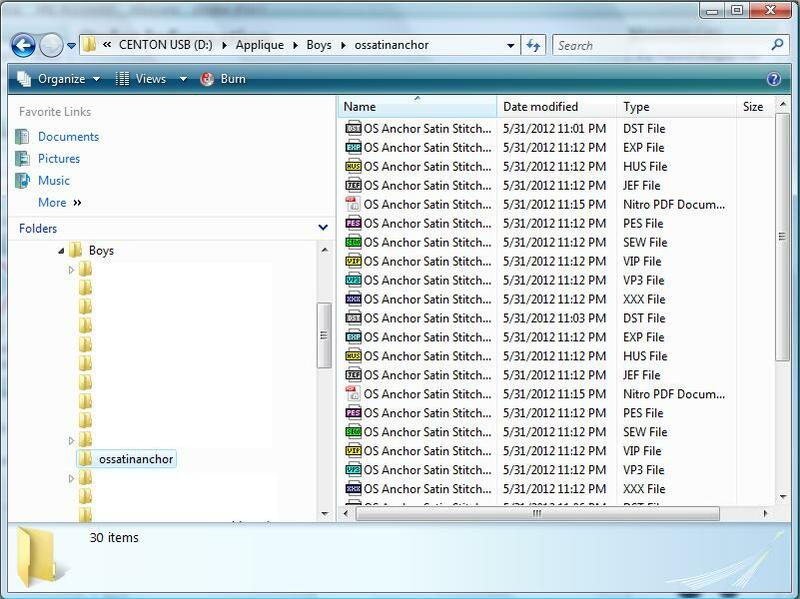 Your first step during this download process was selecting how to download your file. 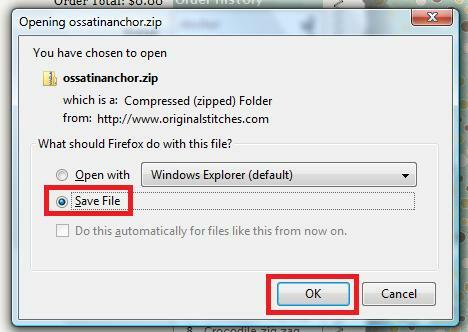 Hopefully, you selected to "Save File." When I download, I have a nice little box that shows me what I downloaded. 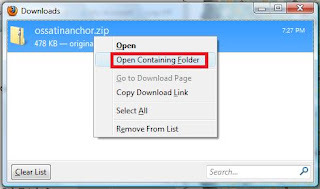 I like to go to that box, and "Open Containing Folder." 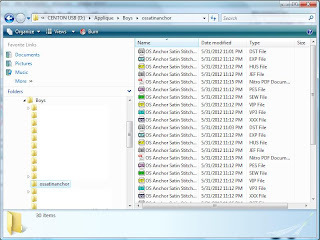 If you don't have a download box, go to the folder where your file was saved. Once you are in the download folder, select your zipped file. 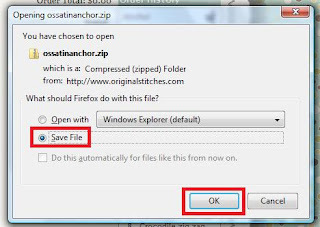 Double click (to open) your zipped file. 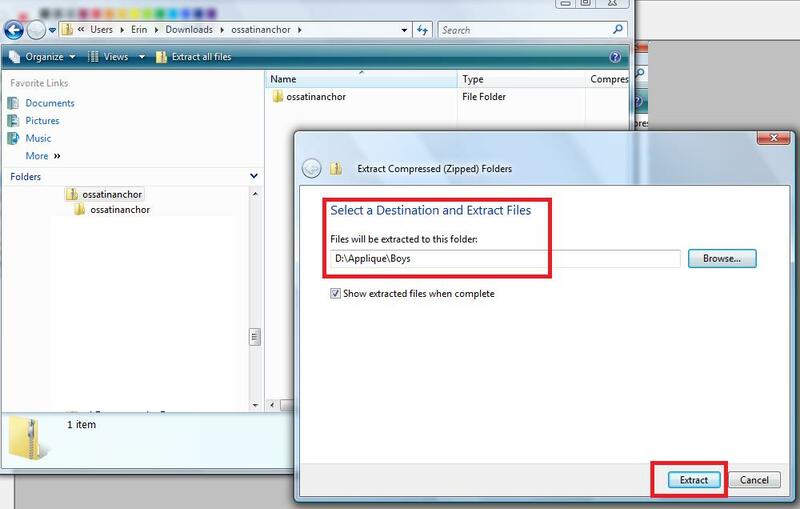 Once you have your file selected, you need to "Extract All" to get to the good stuff. When you "Extract All," you'll have to decide where to save the file. Once saved, go to that spot and transfer the file to your machine! Yes, checkout with Paypal. The system recognizes that your total is 0 and directly deposits the files into your account without going through paypal at all. You never leave our site. June 2012 Freebie is now posted!